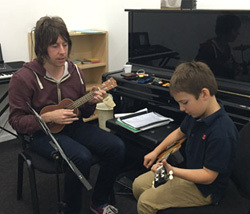 Liam teaches in Bentleigh studio. Liam Hopkins guitar teacher Liam have been playing guitar for nearly 10 years. He studied VCE music in high school and then went on to complete a Bachelor of Applied Music Performance Degree at Box Hill Institute. Liam plays in several bands and gig around Melbourne. Musical genres Liam influenced by are the blues, rock and roll, funk, soul and popular music from the 1960’s & 1970’s. Liam's goal is to teach his students music that they are interested in or music they would like to learn but make sure they are learning the essentials of guitar playing along the way. Liam also make sure his students understand the importance of practice during the week to get the best out of them musically. Michael teaches in Bentleigh studio. Michael has been playing guitar for about 11 years, and drums for 8 years. He studied VCE music in high school and he's currently completing the Diploma of Music Performance at Box Hill Institute. Michael plays in a Rock/Blues band and have had gigging experience all around the state of Victoria, performing with a number of original bands in the last few years. His influences mainly stem from 60’s & 70’s Rock N Roll, Blues, Punk Rock and Rockabilly. Michael's goal is to teach students the importance of having the correct technique in order to play their instruments properly. Also, ensuring that students are kept interested and enjoy playing the style of music they like while at the same time applying the essential basic knowledge necessary. Overall, generally, making sure that each student stays inspired and excited about playing music! 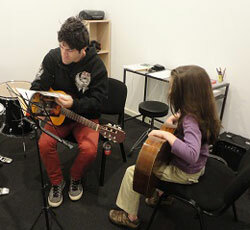 Michael is teaching the Guitar, Ukulele and Drums. Andrew teaches in Bentleigh studio. 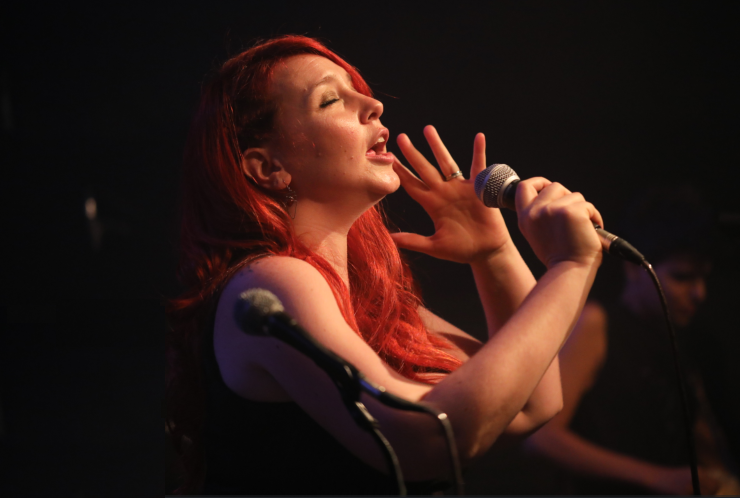 Having worked with some of Australia’s finest such as Darren Cordeaux (Kisschasy), Chris Decinque (Closure in Moscow) Andrew Pope is one of the finest vocalists in the area. 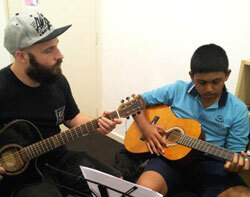 Currently studying a Bachelor in music Performance (voice) at Box Hill Institute, he can teach majors in Voice and minors in both Guitar and Piano. Andrew still gigs regularly around Melbourne in his band Beautiful Beasts and the band enjoy regular airplay on radio stations such as Triple M, PBS, RRR, SYN etc. He also has a diploma in composition (MWT) and is a regular judge at songwriting competitions and local battle of the bands. Andrew focuses mainly on the Estill method of teaching voice but likes to combine his own experience for a more personalised approach to learning. Ranging in genres from Gospel – rock – Rnb – Soul – Jazz Andrew has learned from some of Australia's finest teachers such as Katrina Wellins, Peter Vox and Melinda Ceresoli. Airom teaches in Bentleigh studio. Airom holds a Bachelor of Music with Honors in Music Education from the University of the Philippines College of Music. She has toured the world with her music, having performed in various countries in Europe, Latin America, Asia, and in the US as a soloist, chorister, and as a choral conductor. In 2015, Airom led and sang with a group who won the Grand Prix in the Krakow Choir Festival in Poland. In 2017, she led Koro Paraluman in the 2nd Cantata Macau International Choral Festival, being the youngest conductor and musical director of the global event. She is also a composer and arranger for liturgical music. Airom has taught Music to early childhood and primary children in the classroom and in one on one lessons for a number of years now. She is experienced with utilizing several methods of teaching such as the Kodaly and Orff methods, and with different teaching techniques such as the Alexander technique. She specializes in Voice and Piano and teaches classical Guitar, Ukulele, and Music Theory as well. She is currently completing her Master's degree in Teaching (Primary) at Victoria University in Melbourne, Australia. Shani teaches in Bentleigh studio. The portability of the instrument means instant fun! Every practice session is like a trip to a tropical beach! 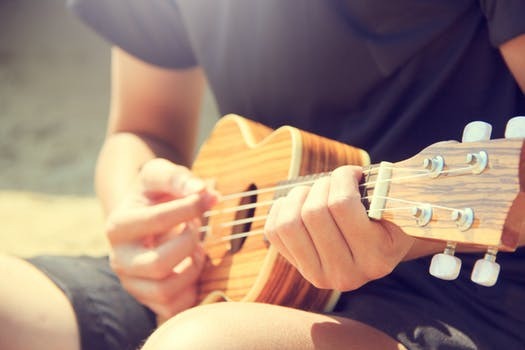 Learn to play Ukulele and have great fun. Our teachers will guide you easiely through the all levels of musicianship.